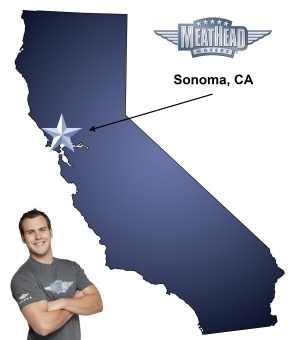 For a trouble-free move to Sonoma, Meathead Movers is the company for you! Our professionally trained student-athlete movers are ready to get you into your new home. There are many reasons to move to Sonoma, CA, but the city’s culture might be the best one. Whether you’re moving for a new job or to enjoy the area’s world class wine culture, you’ll want to check out what Meathead Movers has to offer. Sonoma is one of California’s most important and historic cities in the wine industry. In fact, the city is recognized as being the birthplace of wine making in California. Each September, the city holds the Valley of the Moon Vintage Festival, which is a celebration of the city’s wine making history. On top of great wine, the city is also a great place to live and work in. With its proximity to the Bay Area, there are plenty of work opportunities in and around Sonoma. If you want to escape city life, visit Riverfront Regional Park for great canoeing, hiking, and biking opportunities. Sonoma Plaza has many shopping, dining, and entertainment options as well. You can also check out the annual Sonoma International Film Festival. If you are considering a move, Meathead Movers is here to help! Meathead Movers is the top moving company in California for long-distance, commercial, and local moves. Unlike other Sonoma movers, we offer fixed pricing plans for long distance moves and a 100% satisfaction guarantee. All our movers are hard-working, clean-cut student-athletes who are trying to make a few bucks when they’re not attending classes. Our movers will also show you our trademark Meathead hustle. When our movers aren’t packing or loading boxes into the truck, they’ll jog to where they need to be next. Moving to Sonoma should never be a hassle. With a 100% satisfaction guarantee, you have nothing to lose. Give us a call today to learn more about what the Meathead Difference really means. Our staff can even give you a no-obligation, no-cost move quote. Moving to Sonoma? Here are some helpful resources. Service was efficient, friendly and careful. The guys were cheerful, ready to help in any way and seemed to enjoy their work.